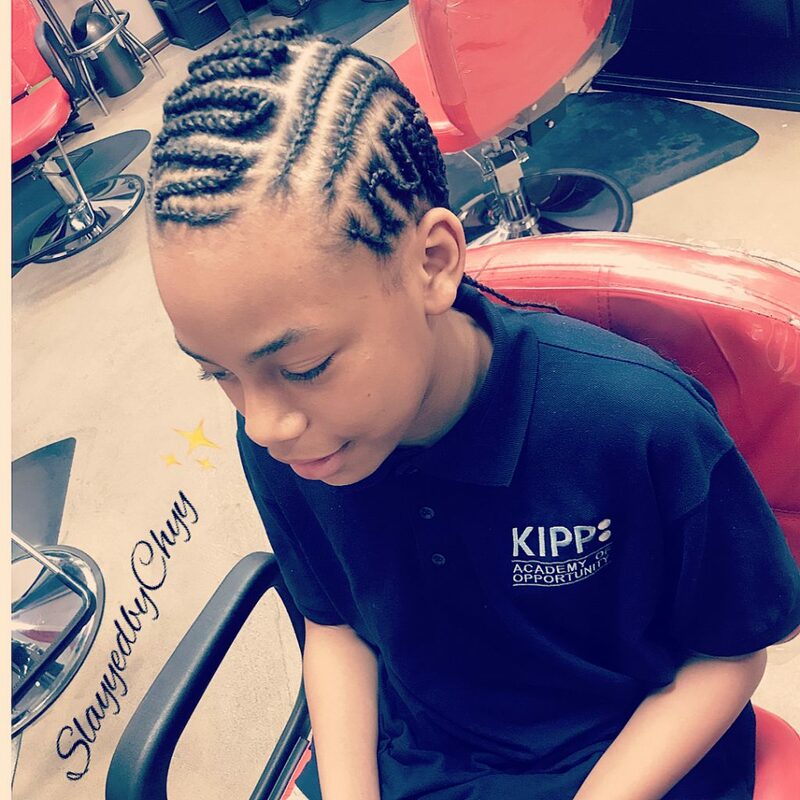 Braiding or plaiting for kids is magnificent! 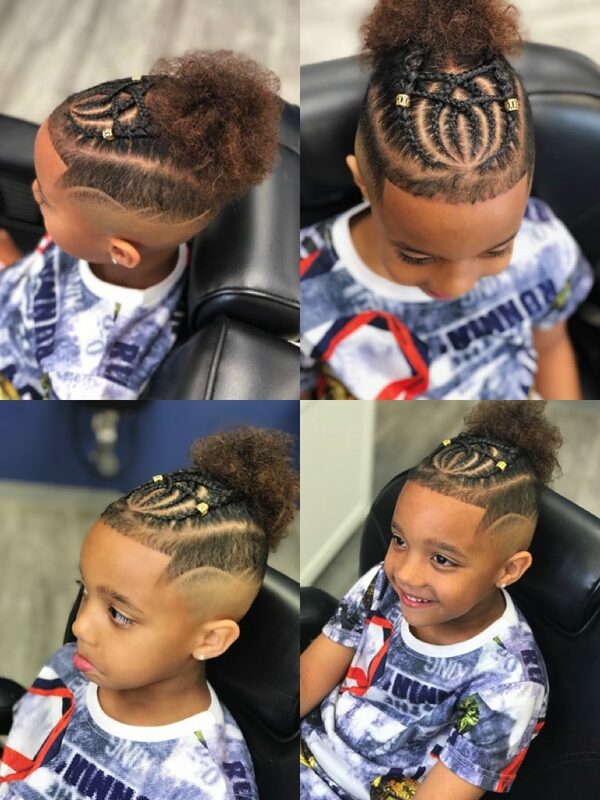 It makes them look cuter with little styling here and there, and voila, they will have an amazingly styled braided hairstyle. 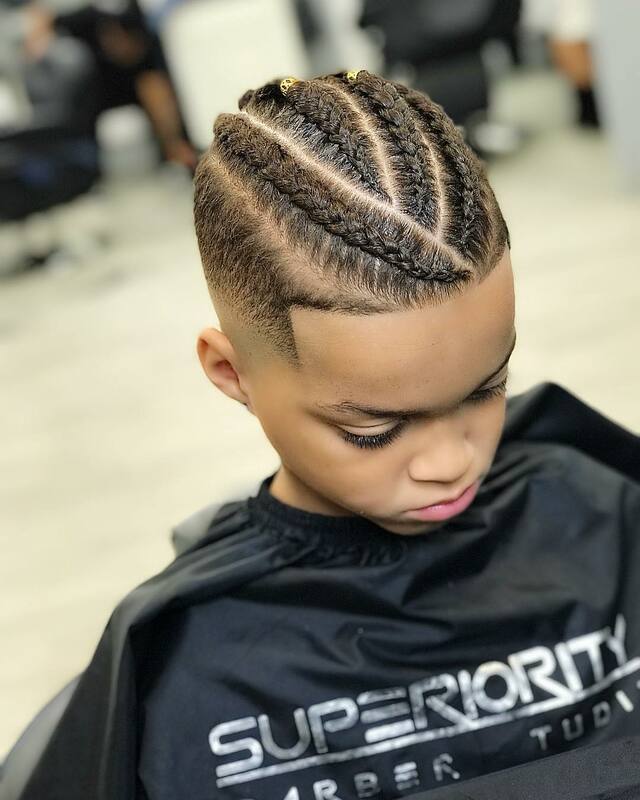 Some people used to think that braids are only for women and girls, but in our collection of braids, you can check out awesome braided hairstyles for boys. 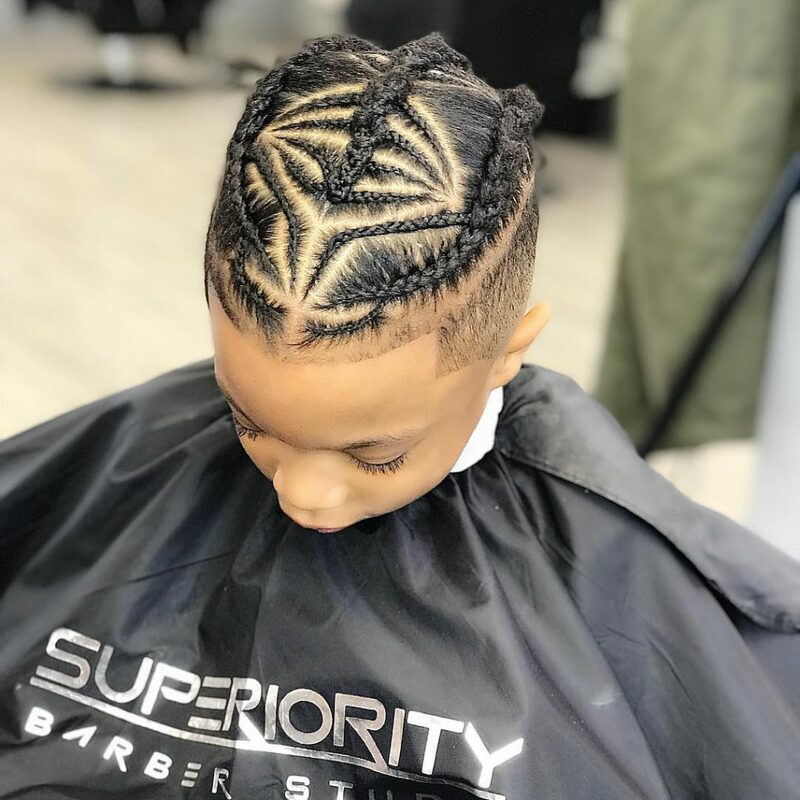 This type of braiding for kids is made up simply by trying to weave at least three hair strands of the intact hair in order to form a natural hair rope. 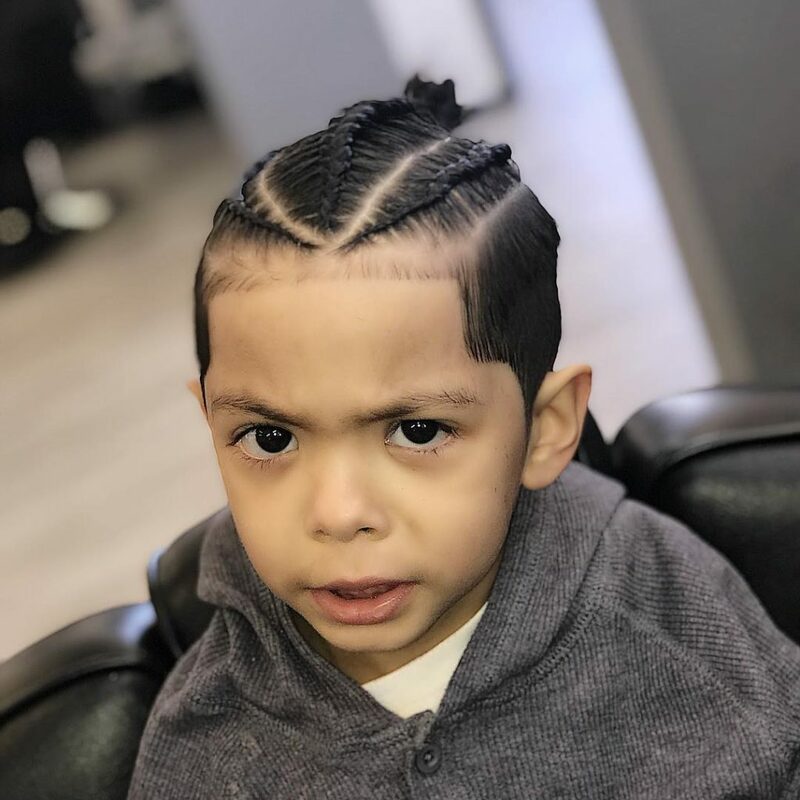 But then, you also have the freedom to choose the number of hair strands to group for your little boys based on what you think would look best on them. 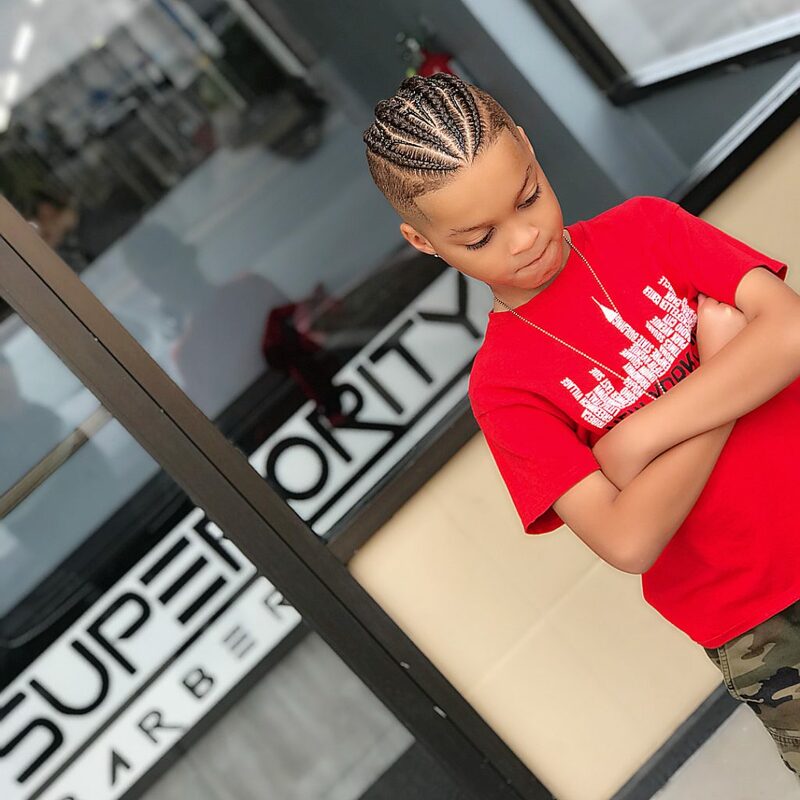 What are the benefits of braids for little boys? 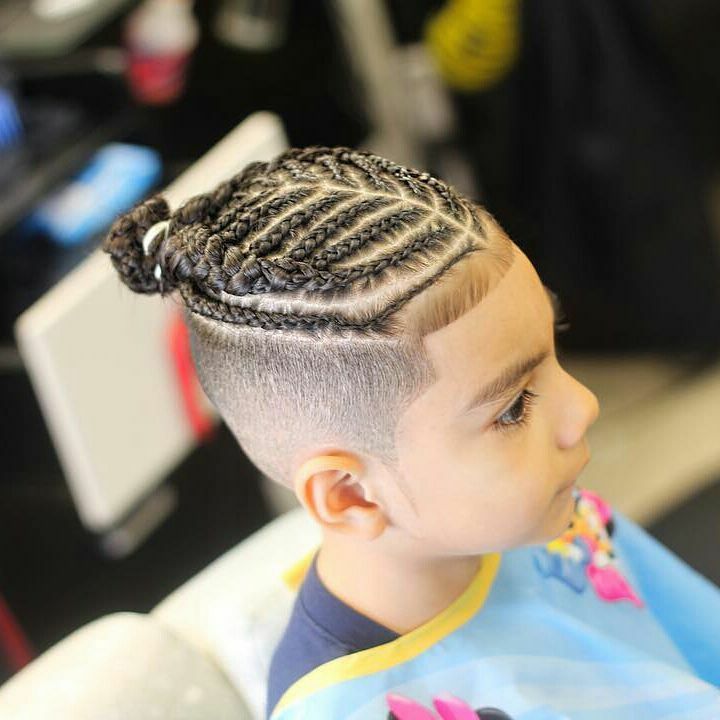 Braided hairstyles for boys are a trend now because they do not need daily combing and washing. 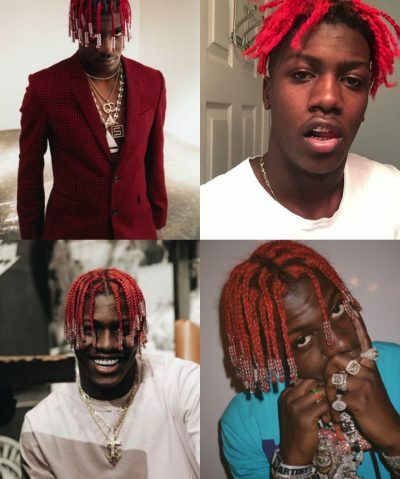 It only means that these hairstyles require less maintenance than other types of hairstyles do. 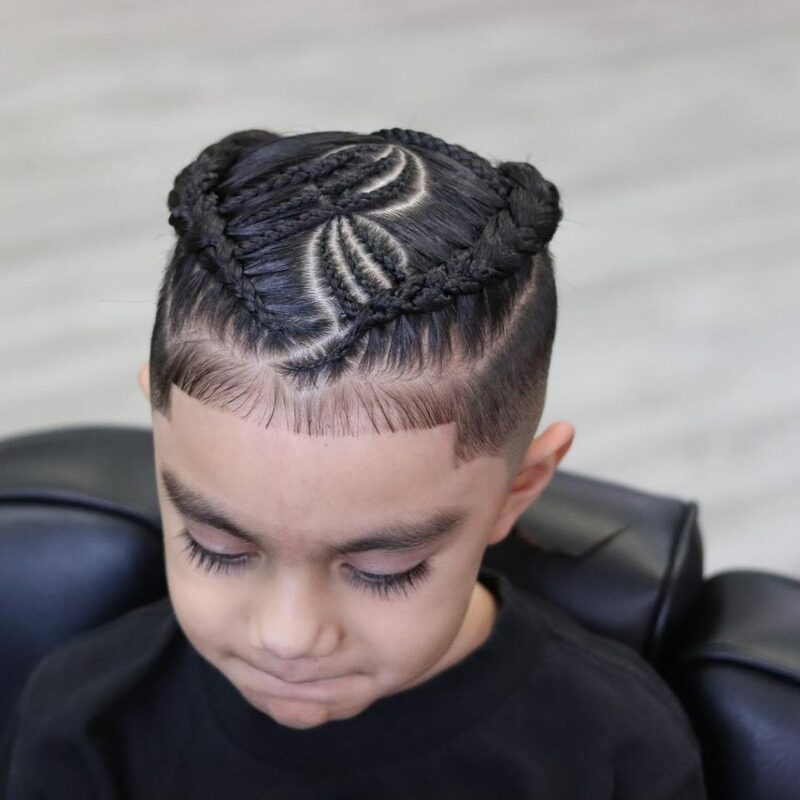 You must really try these braids for your little boys now. 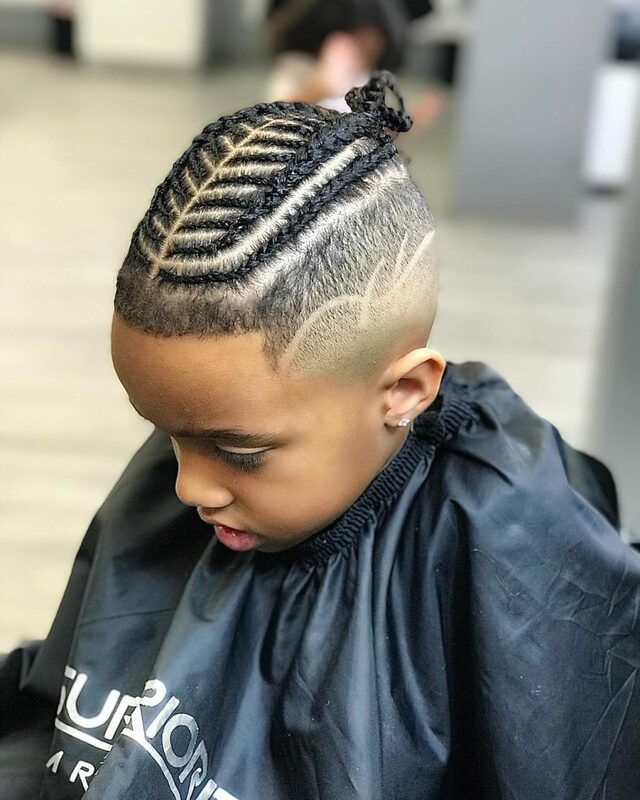 With their hair braided, they will appear cuter to the sight! Braid hairstyle can also protect and prevent their hair from being damaged and having split ends. 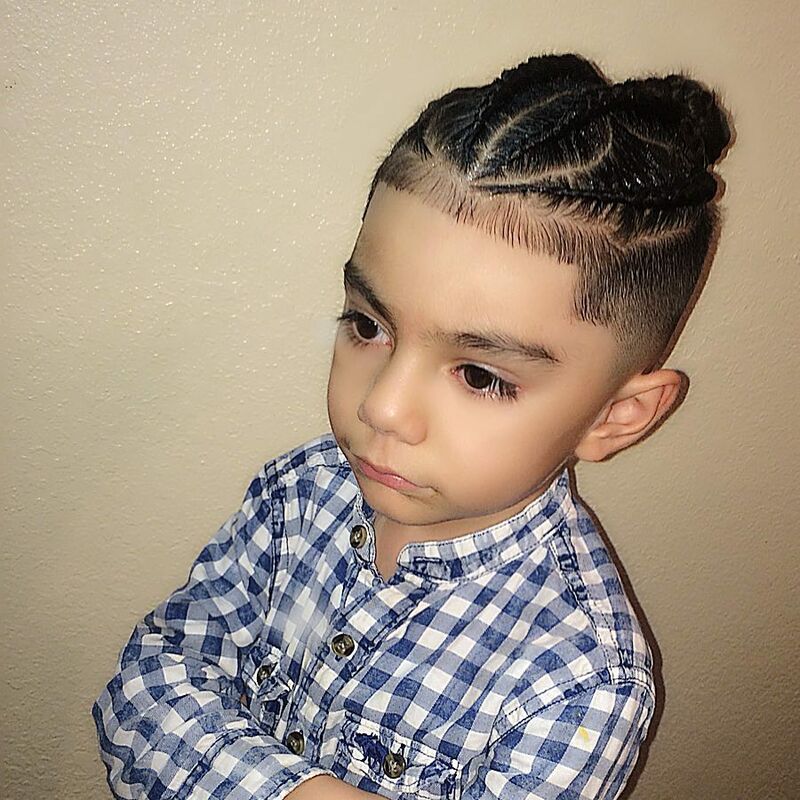 You can save money if you would learn how to braid your kid’s hair. Or you can also ask a loved one that knows how to do it if you want to save money by not taking him to the salon. You should maintain the braids to get its total benefits, and to be able to do so, check out the following tips. 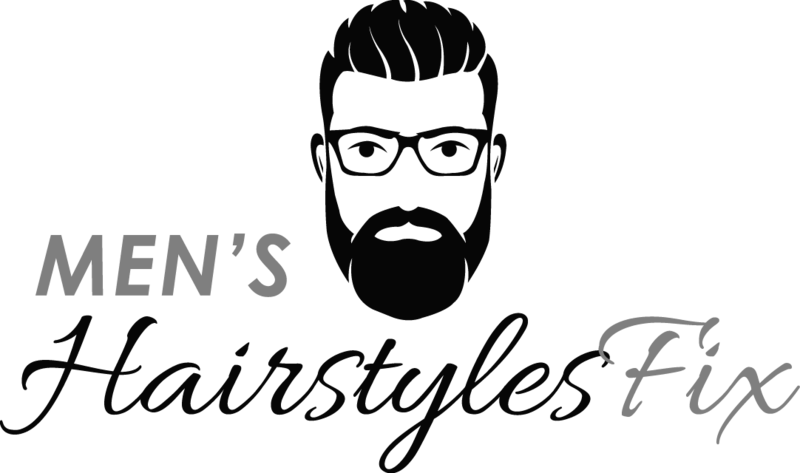 Learn how to detangle the hair, starting from the roots to the scalp. For this task, you should use a wide-toothed comb. 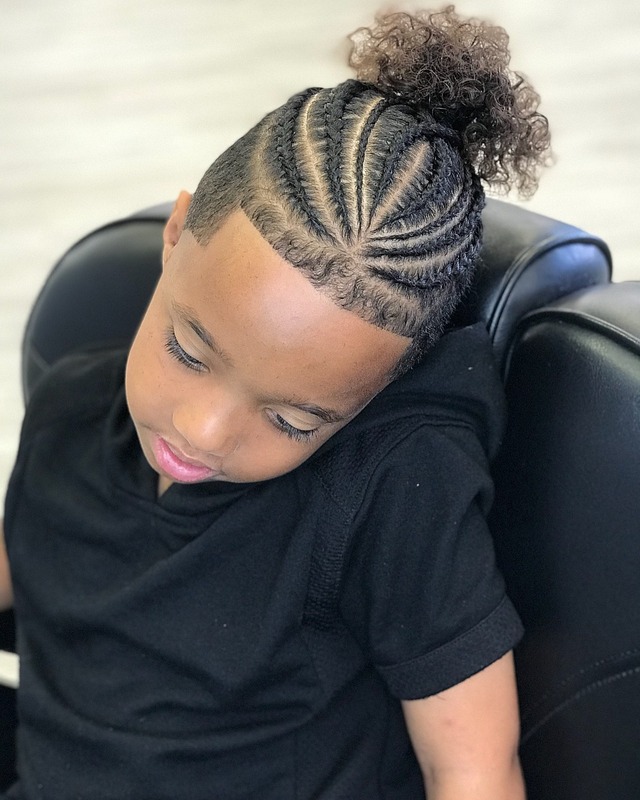 Before braiding, you should learn how to deep condition and moisturize his hair. If he could do it himself, it would be better. Do not make too tight braids in particular around the temples. 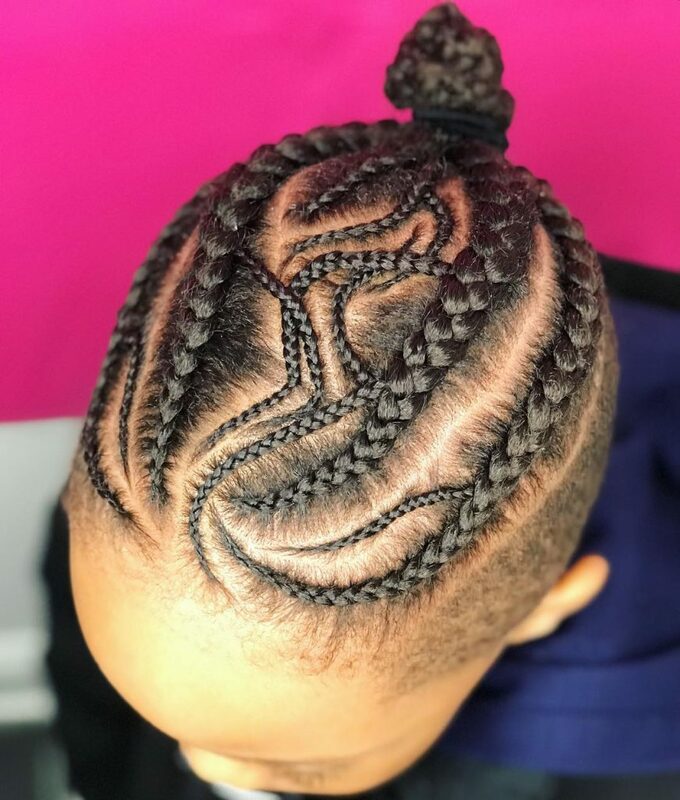 Remember that braids can be pulled tightly and it might cause hair loss. Keep hair moisturized by frequently using a leave on conditioner to maintain its glow. Never let the braids get brittle and dry. Every week, the braids must be washed and conditioned to keep it clean without any perspiration and oil buildup. Never let him wear braids for long periods of time. 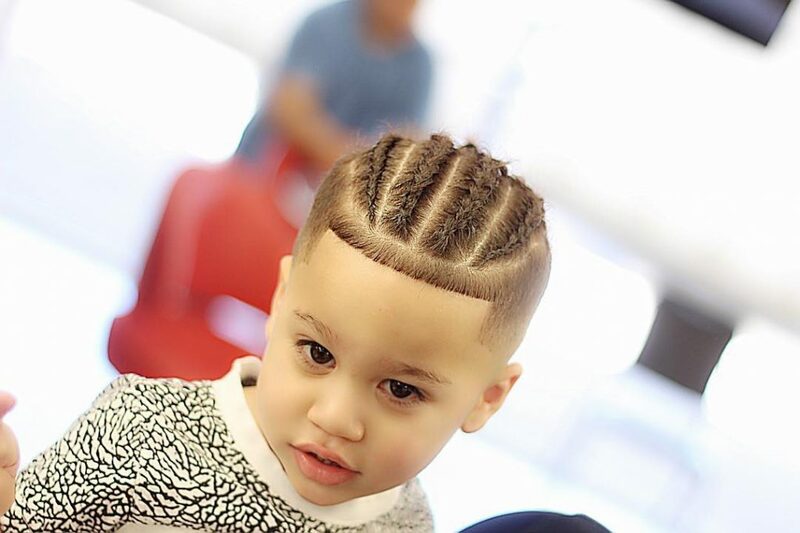 For example, braids should be worn only at most two months at a time. 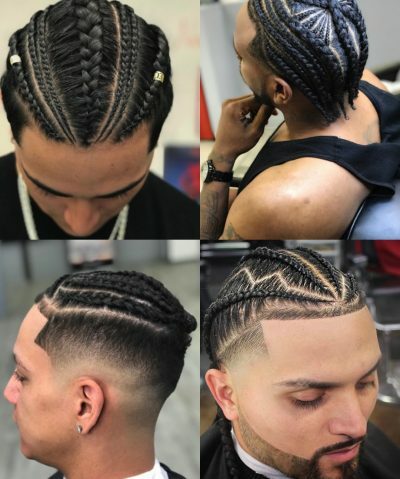 Braided hairstyles can be worn in different styles aside from having the hair up. 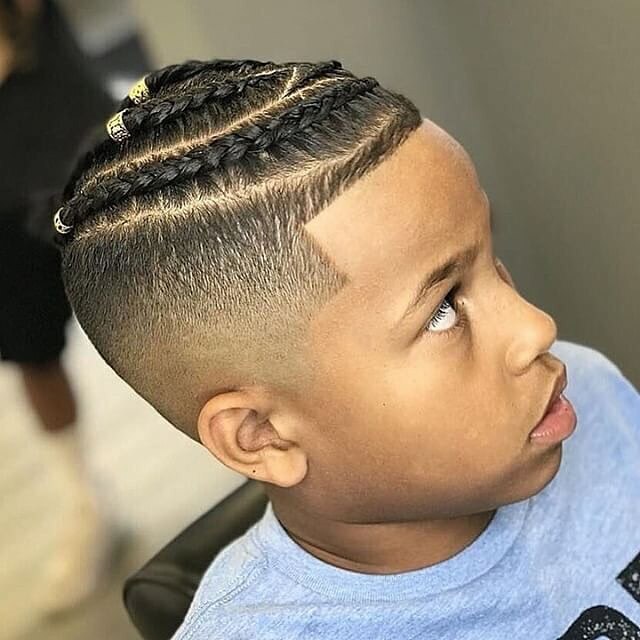 While sleeping, let your kid wear a silk cap, helping his braids to last longer and keeping the style looking great and his hair moisturized. 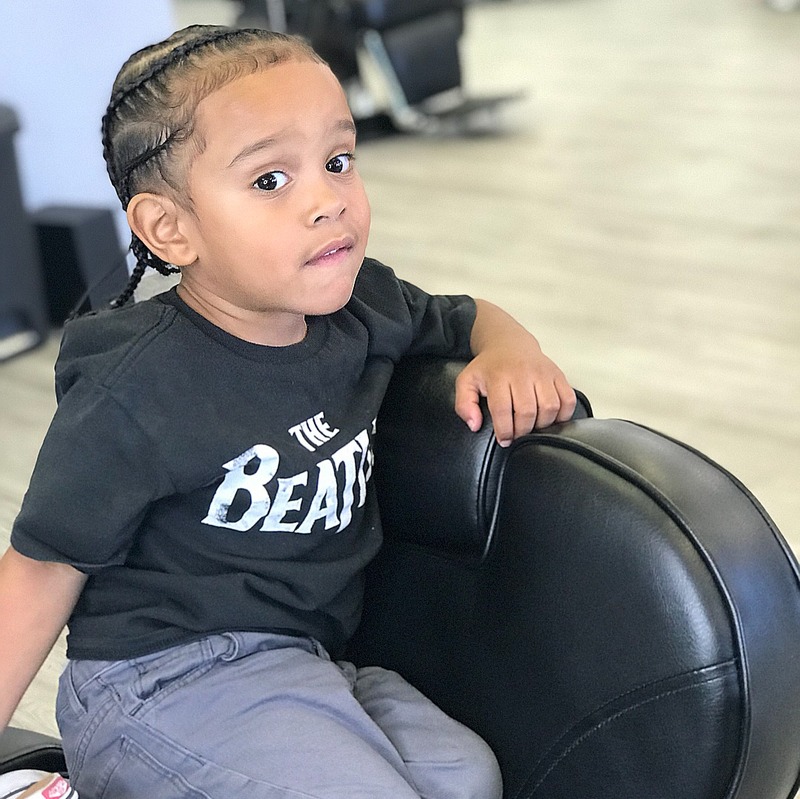 There you have our basic braids for kids that you might want to use for your boys, mom! Definitely, these hairstyles will make them look cuter and more amazing than ever today!